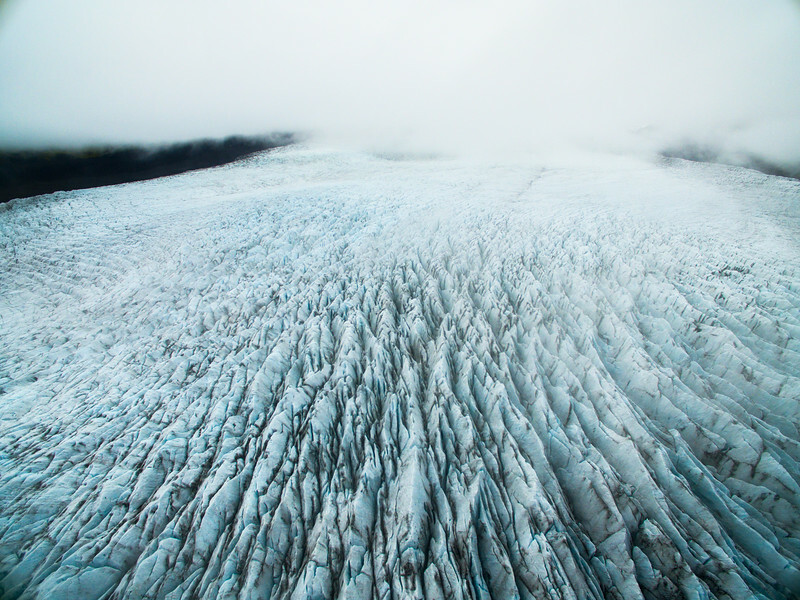 Aerial view of a Glacier in Iceland. 10% of Iceland is covered by Glacial ice. With global warming, these glaciers are melting. As these glaciers are close to sea, lagoons are formed where warm sea water is melting more than 300 meters of glacial ice every year.